MainAll NewsDefense/SecurityWhere will the money for Liberman's defense plan come from? Defense Ministry proposes new package to protect communities from terrorists and improve road safety. The problem-there is no funding. Defense Ministry Director-General Udi Adam will present an unprecedented plan next month which will include, among other things, a defense envelope for communities and the paving of bypass roads, Channel 2 reported. According to the report, the plan will cost a total of NIS 3.3 billion ($940 million) over several years. There is just one problem, however. The project has no funding. 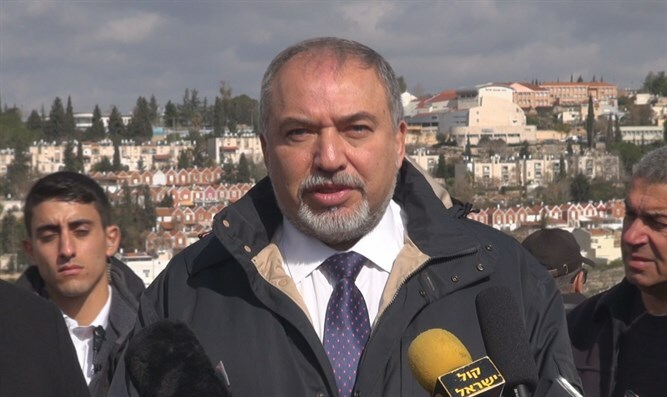 According to the report, Defense Minister Avigdor Liberman will demand that the project be funded as part of the budgets of the Communications, Housing, and Transportation ministries. The plan includes the installation of cameras at intersections and electronic detectors in order to prevent terrorist attacks, installing new lighting in areas which are dark at night, the deployment of antennas along the entire length roads which currently do not have cellular service, which can prevent a victim of a terror attack from calling for help. The plan also includes a new series of roads and bypass roads for Arab villages in Judea and Samaria, a budget for the protection of new bulletproof buses, armored transport vehicles and special security vehicles, smart fences, cameras, and sensors to locate and prevent the infiltration of terrorists. The added protection is expected to cost NIS 10 million ($2.85 million) per community.